Give the gift of mastering any facial hair style with one precision tool. 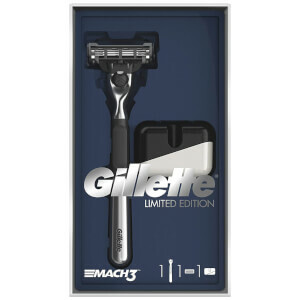 This Gift Set includes a Gillette All Purpose men's Styler razor, a Fusion5 Ultra Sensitive shaving gel 200ml and 3 combs. The Styler has everything you need to achieve any facial hair style, it trims evenly, shaves closely and edges precisely. It is waterproof and shower safe, letting you trim while you shower. The shaving gel is suitable for sensitive skin and features Ultra Comfort Complex, which cools to soothe and helps protect skin during the shave to leave it feeling clean and comfortable.